New project: I need to build an ark. Big rain last night. 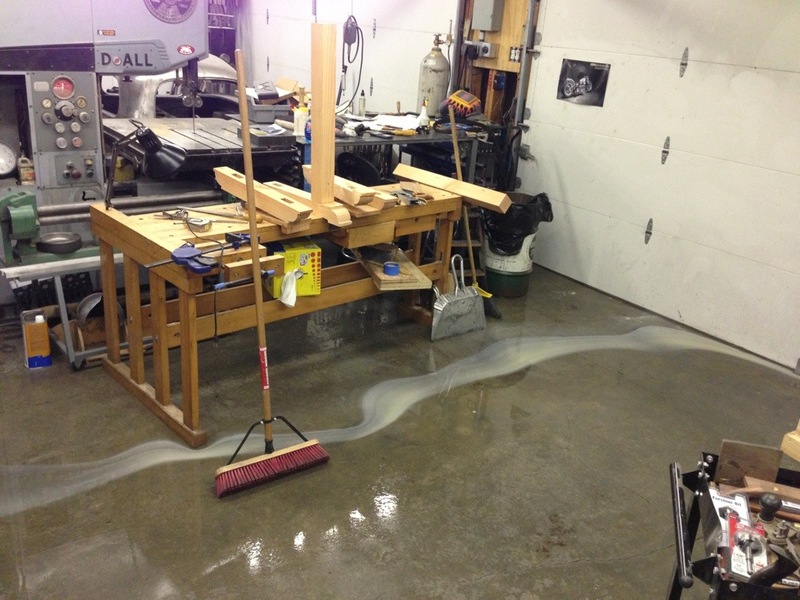 Big flood in the shop this morning. Probably not much activity in the shop today unless you count “puddling”. Does this happen often? And you were making such great progress on your sharpening station. Nuts! I hope you keep your wood off the floor. Unfortunately the parts for the sharpening station were sitting on the floor. I think they are OK though. This has happened before, but not in a few years and not this bad. I think it will be dried out in a few days if we don’t get too much more rain. This spring I need to trench out behind the shop do re-do the waterproofing along the back wall. I knew there was another project on the list somewhere. I had a tiny bit come in my shop, too, but it didn’t come anywhere near anything. That storm really tested the drainage out back. No actual damage here, and the floor is now really clean. But it kept me from getting anything done in the shop today which was kind of a drag.